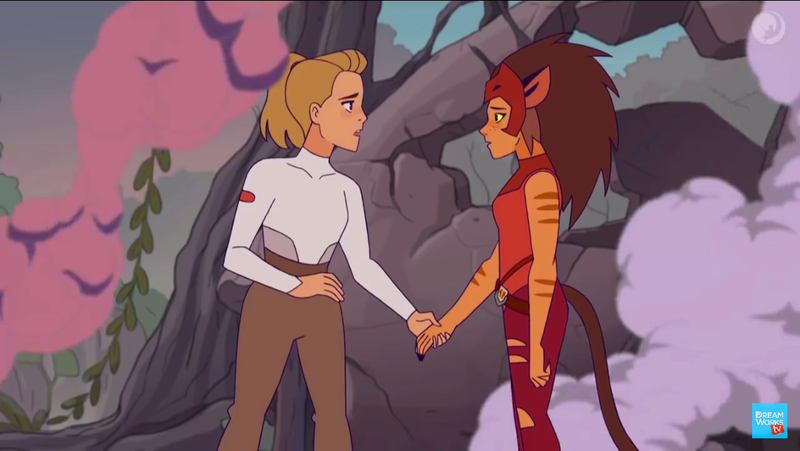 She's Fantastic: She-Ra and the Princesses of Power - CATRA! She-Ra and the Princesses of Power - CATRA! Everyone loves Netflix for a number of different reasons. But my favorite aspect has been their amazing original animated programs. I have always loved cartoons, but a lot of modern properties have a tone and style that I can't get into. Before Netflix, the last show I really loved was way back in 2011 (ThunderCats). But now I have several shows that I adore: Voltron: Legendary Defender, The Dragon Prince, and She-Ra and the Princesses of Power. These cartoons combine the themes I love from my childhood with the more mature storylines I crave as an adult. It makes me feel like a kid again having numerous cartoons on my watchlist. My favorite part of the new She-Ra show was the complex relationship between Adora and Catra. There was nothing like this in the original series. We all know Adora started out as a Horde Force Captain, but the original series never delved into that Horde-to-Rebellion transition. It really is a great show and I can't wait till Season 2 (April 26th!) Let's check out Catra below! The character designer who decided to give her Heterochromia iridium was a genius. She truly is an odd-eyed cat. This figure doesn't have a tremendous amount of articulation: Shoulders, Legs, Waist, Head, and Tail. But the sculpt is perfect. I really hope we get more figures. 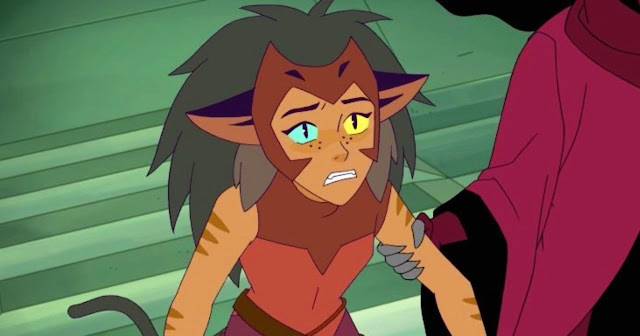 I'm honestly forgetting what this accessory of Catra's is. But, hey, that's excellent incentive to watch the series again and refresh my memory (it's been 4 months after all). 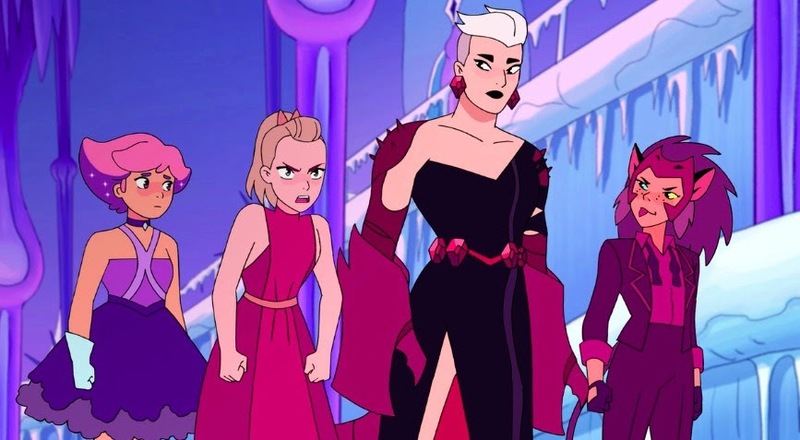 Catra in a tux at the Princess Prom was everything. 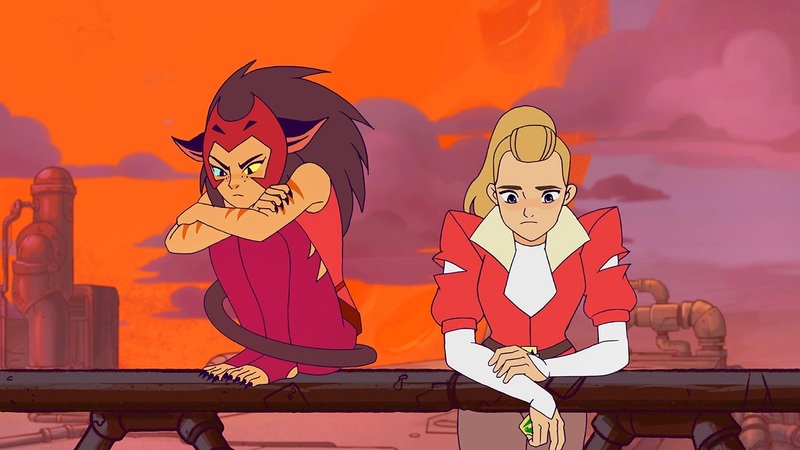 Here is the Netflix Catra next to her MOTUC version. And here she is with She-Ra.